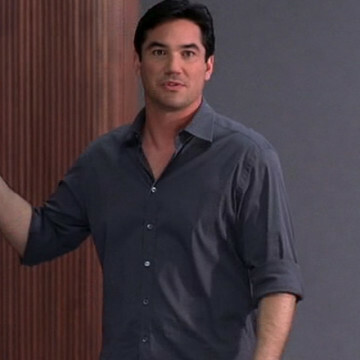 Dean Cain has a cameo appearance in the eleventh episode of Entourage’s sixth season. He prematurely walks into an audition as Johnny Drama tests for the same role near the thirteen-minute mark. Dean Cain starred alongside Teri Hatcher in television’s Lois & Clark: The New Adventures of Superman, which Drama alludes to as Cain leaves the room.